Select Wood Floors is locally-owned and happy to call Fort Collins, CO it’s home. 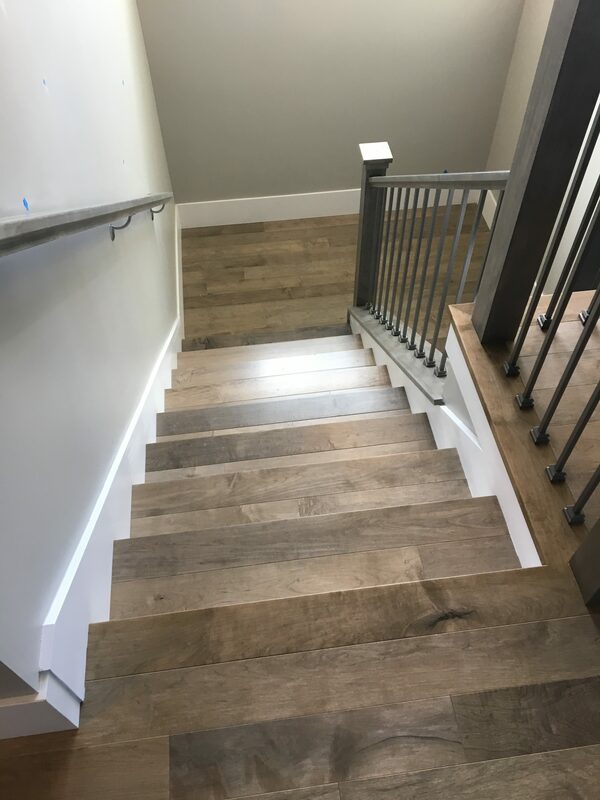 Established in 1997, Select has over twenty years of experience in the industry and continues to be the premier hardwood flooring company in Northern Colorado. We carry quality flooring products and employ experienced installers and finishers, rather than independent contractors, so that we are sure the quality of work is consistent. Our experienced sales team will walk you through the process from start to finish to ensure the end result is above and beyond your expectations. Whether you are looking for site-finished or prefinished hardwood floors, we can help! With our wide array of products, we are sure to have flooring you will love! When we refinish floors we sand all the way down to the raw wood to get all the old finish and scratches out. If you decide to refinish your floors you have the option of selecting a stain to change the color of the wood. This is an option that is quick and inexpensive. It will brighten up your floors in between refinishes. Our most popular product is site-finished wood flooring, where we install, sand & finish the floor on-site. Laminate flooring is an inexpensive alternative to achieve a "wood" look. 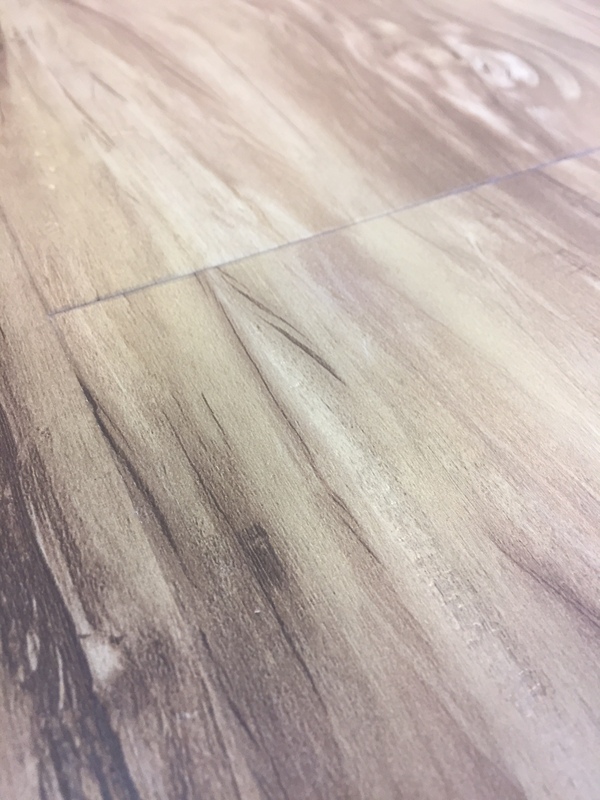 Luxury Vinyl Tiles are an inexpensive and durable product that works well in commercial spaces and/or rental units. Most brands offer water-proof products! Prefinished flooring comes in both solid and engineered flooring. A popular choice for those who don't want sanding to take place in their home. Hardwood floors add a beautiful, elegant, natural element to any home. In addition, they add value to your home and are popular in the resale home market. Advances in technology have led to hardwood floors looking better, lasting longer, and easier to care for than ever. Below are some more reasons why to choose hardwood floors. Hardwood floors are more affordable than one would think. Over time wood floors will maintain their value and increase the resale value of your home. Hardwood floors trap fewer allergens including dust, pollen, and dust mites than alternative flooring types. It is recommended by the American Lung Association to improve air quality. To keep them in good shape and looking new, normal care such as sweeping or vacuuming with a soft broom or vacuum is generally all that is required. To maintain its luster, use a professional floor cleaner, such as Bona or Poly Glow, with a dry mop and a terry cloth cover. 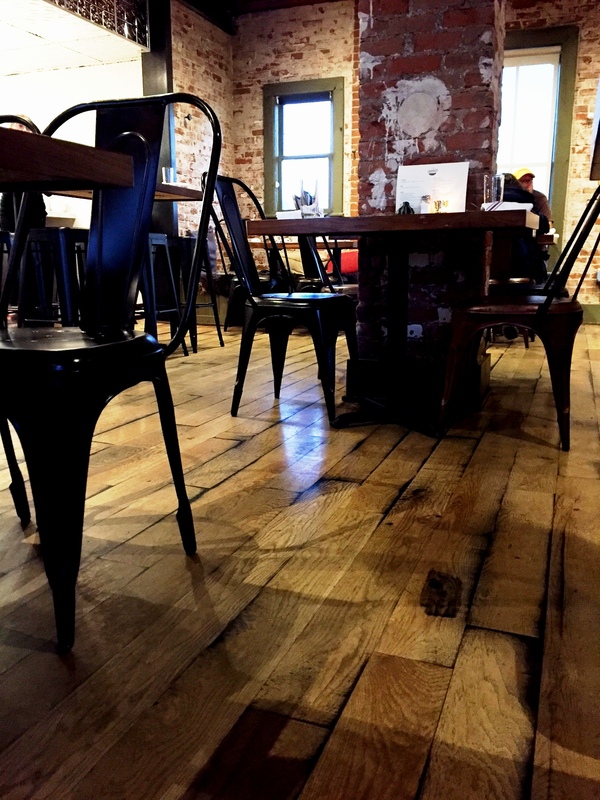 If maintained properly, wood flooring should never have to be replaced. Hardwood flooring is timeless. There are so many different options of hardwood flooring that we are positive you will be able to find a style and look that fits with your home. The options are endless! 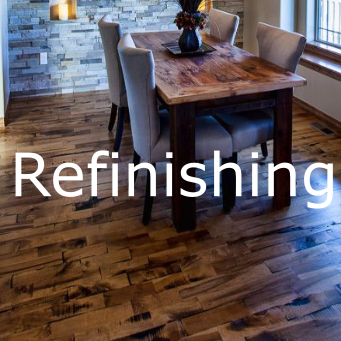 What is the difference between unfinished and prefinished hardwood? An unfinished hardwood floor is installed raw, then sanded and finished inside your home. With this option you can pick a stain color and customize the look of your floors. A prefinished hardwood floor is manufactured and delivered with finish already on it. 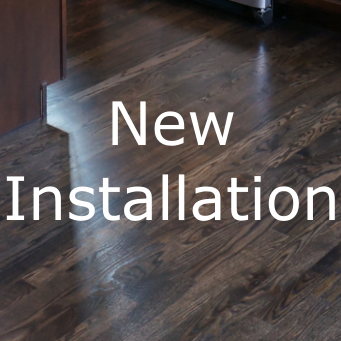 Prefinished flooring is installed and completed quicker than unfinished hardwood. What is the difference between solid hardwood and engineered hardwood? Solid wood flooring is made from solid wood blanks that are run through a molding machine to create specific dimensions and at the same time tongues and grooves are molded into the flooring on all four sides. The tongues and grooves lock the flooring together upon installation. This is an excellent choice in most areas of a home on the ground level or above. Engineered wood flooring comes in 3 to 5 layers of wood; laminated together with a cross-grain lamination construction that makes it more dimensionally stable (it does not expand and contract like a solid wood floor). 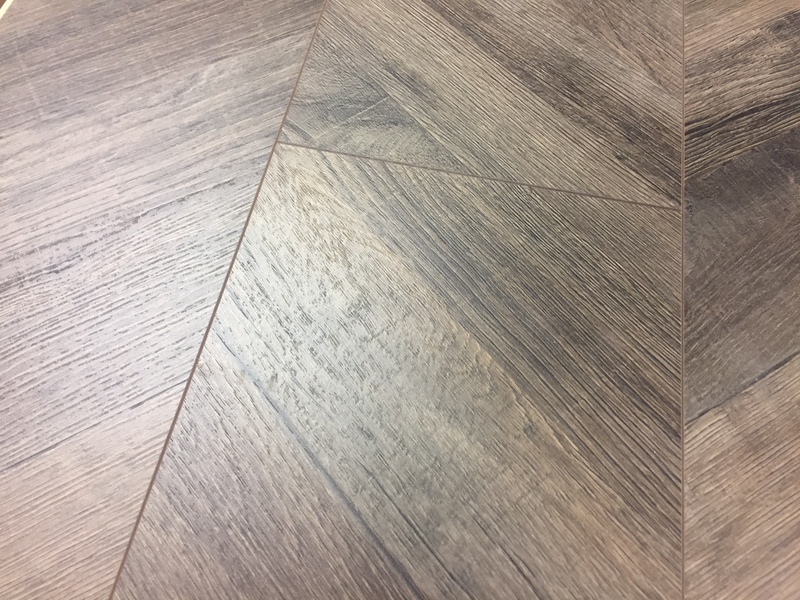 Engineered flooring is perfect for those areas of the house where solid flooring may not be suitable, such as basements, kitchens, power rooms and utility rooms. Which type of hardwood is best for me? Before you decide on a hardwood it is best to consider the area where you want new hardwood. For example, a basement vs. main level, concrete surface vs. plywood, or low-traffic vs. high-traffic area. Once we know these aspects our experienced sales staff can lead you in the right direction. How often do I need to refinish my floor? We recommend refinishing your floor about every 7 years. We would be happy to come by your home to look at the condition of your floors and give you an estimate. To schedule an estimate you can call us at (970) 224-1452 or visit our Free Estimate page. What is the difference between oil based finish and water based finish? An oil based finish is durable and brings out the color of the wood. It takes about 8 hours for it to dry and has a strong odor when it is applied. The odor will eventually dissipate. A water based finish is very durable and helps keep the wood from yellowing over time. It takes about 4 hours for it to dry and doesn’t have as strong of an odor. It doesn’t bring the color out of the wood as much as oil based finish does. How dusty is refinishing a floor? Refinishing hardwood floors does create some dust, but with our dust containment system we are able to capture about 90% of the dust our sanding machines create. Do I need to leave my home during installation/refinishing process? During the installation process it is not necessary for you to be out of your home. You can walk on the raw or prefinished hardwood. Once we start the finishing process or refinishing your existing wood floors we recommend for you to be out of your home. You can not walk on the floor until the final coat of finish is dry. I have an existing wood floor and want to add more wood in other rooms. Can you match my existing floor? We frequently add new wood flooring to match existing flooring. We will lace in the new wood with the existing wood, sand it all down, and then stain and finish the floor so both the old and new floor match. I want hardwood floors but I have dogs. Will they damage the wood floors? The wear and tear of the floor depends on the size and activity of your dogs. Hardwood floors are hypoallergenic, so they trap fewer allergens, such as dust, pollen and pet dander. You always have the option of getting your floors refinished periodically to keep them looking like new. I have a few boards that need to be replaced. Is this something that can be done easily? Select Wood Floors can replace boards very easily. We like to first come out and look at what type of floor you have and the damage on the boards. From there, we can order the correct wood that will match, tear out the damaged boards and install the new boards. Can wood floors be installed in a basement? Yes. There are several engineered floors that are recommended for basements. How should I care for my hardwood floors? Apply felt pads on the legs of furniture to allow furniture to be easily moved without scuffing or scratching the floor. Dirt and grit can become embedded in the pads, so clean when necessary and replace. For metal legs, stick-on felt pads may be used; however, for wood legs, hammer-in felt pads are recommended. Some furniture may require barrel-type roller casters, as ball-type casters may cause damage to the floor. Place protective mats (inside and outside) at all exterior doors to reduce dirt and grit from harming the floor. Surface grit can abrade the finish and accelerate the need for a refinish. For site-finished floors, we recommend waiting 4 weeks for the finish to fully cure before placing any rugs on the floor. Use a vacuum appropriate for wood flooring, a whiskbroom, or soft dust mop to remove dirt from the floor between regular cleanings. Do not use household dust treatment products (e.g. Pledge), as they may cause the floor to become slick, dull, and/or interfere with future recoating. Never us a steam mop, as this can breakdown the finish. Wipe up spills as soon as possible with a soft, slightly dampened cloth. Never wet mop or use excessive amounts of water when cleaning the floor, as this may cause the wood to absorb excess water, leading to warping and damage. Clean the floors with a mild hardwood floor cleaner when necessary. Use a spray bottle and a slightly damp microfiber or terry cloth pad to clean and ensure the proper amount of moisture is being used. If the floor takes more than a few seconds to dry, too much liquid has been used. Appropriate products to use that are safe for your wood floors are available at our showroom for purchase, as well as hammer-in felt pads for furniture legs, dust mop kits and accessories, etc. Never use oil, wax, or polish products on the wood floor. (e.g. Murphy’s Oil Soap, Floor Polish, Pledge Floor Products, etc.) 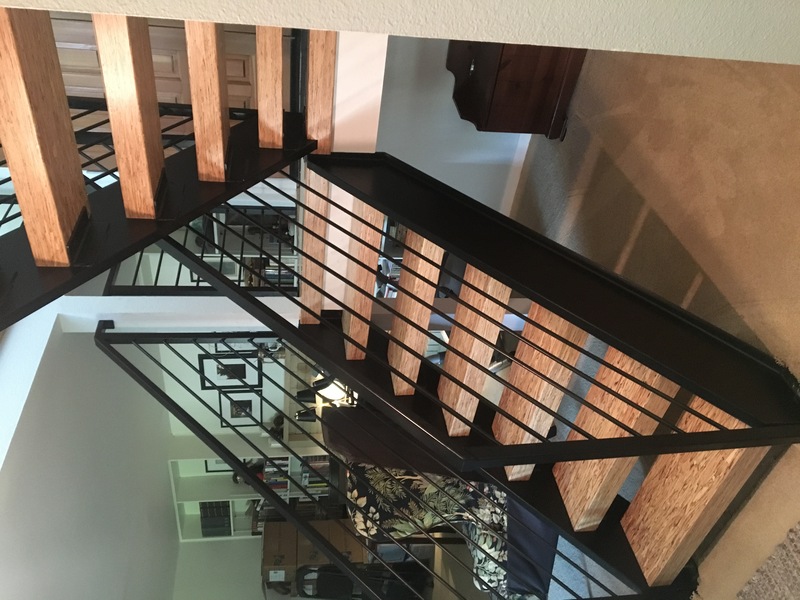 These products do not penetrate the wood, contain oils, or are intended to add additional coatings to the floor, and therefore will build up on the floor, collect dirt, and may dull the look of the finish. 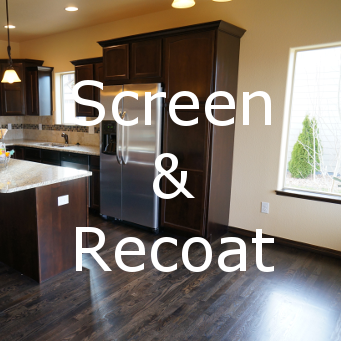 These products create problems for maintenance and future refinishing. Wood floors are a natural product, so they will expand and shrink with the weather changes. It is normal in Colorado for your wood floors to shrink in the winter months. Therefore, you will see some gaps between boards. In the spring, the wood will expand back with moisture in the air. It is recommended to run a home humidifier throughout the year to help stabilize this effect. Wood floors tend to be very low maintenance and easy to care for if done properly. If you have any questions at all about what products are appropriate to use for cleaning, or if you think you may need a recoating, please contact us to avoid unnecessary complications. On behalf of the whole team at Select, we thank you for your business! Please feel free to contact us if you have any questions or concerns about your new hardwood floor.